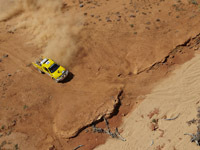 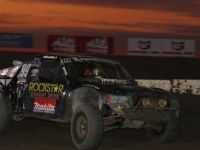  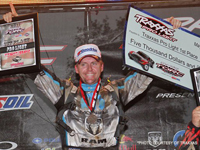 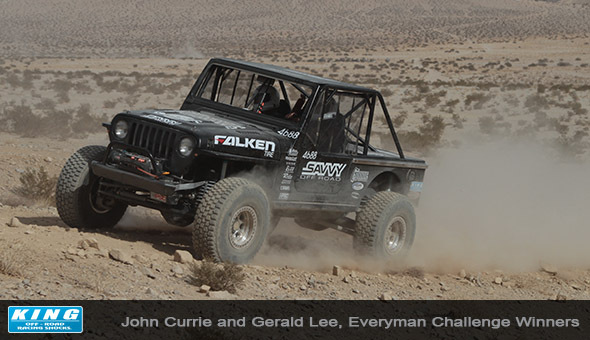 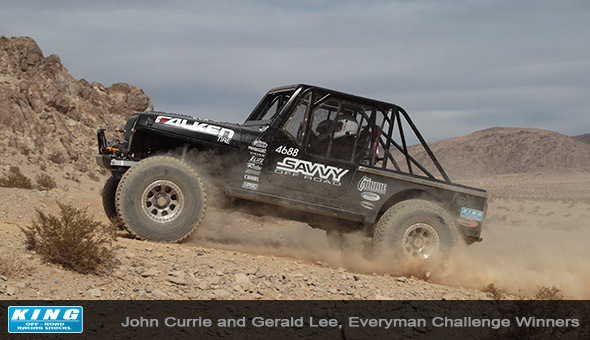 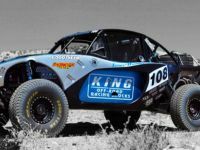 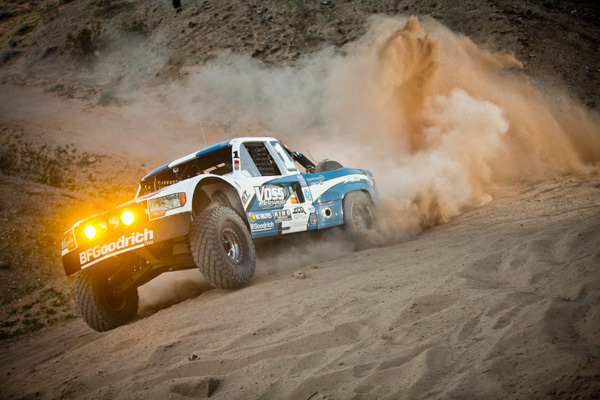 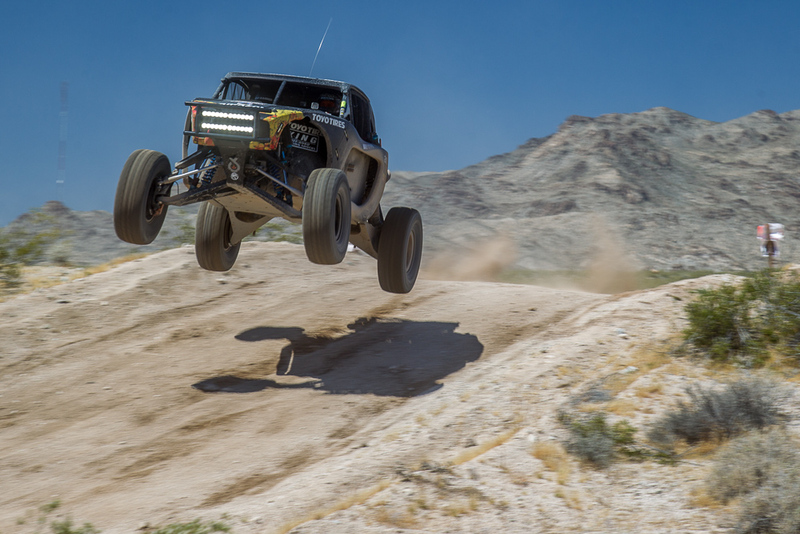 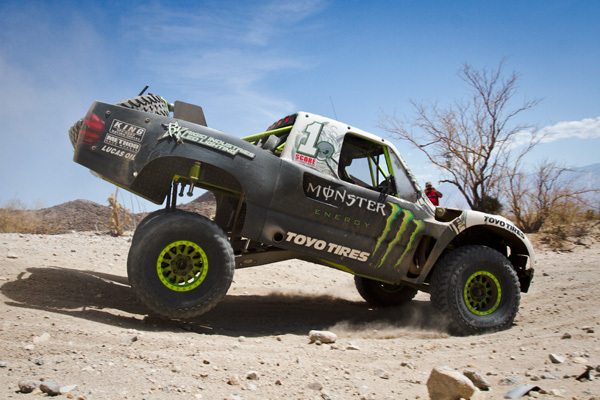 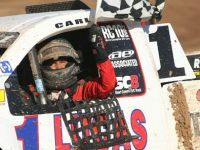 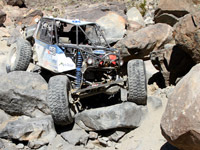 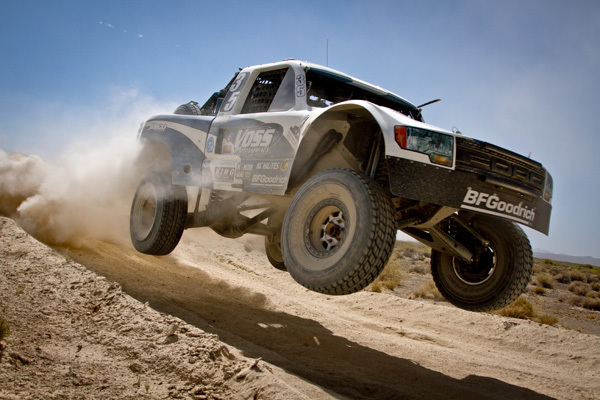 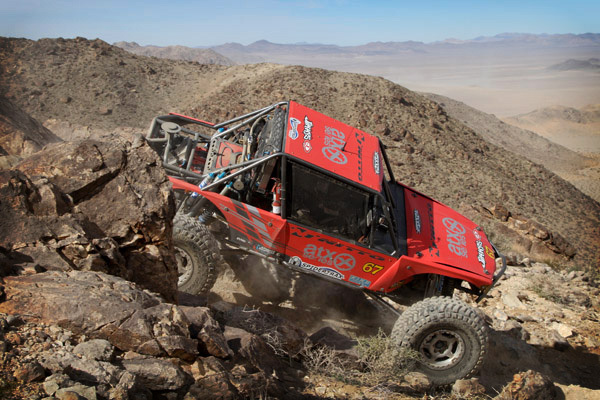 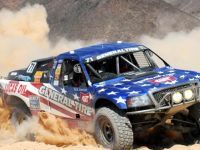 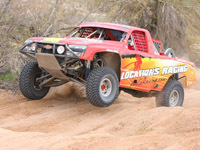 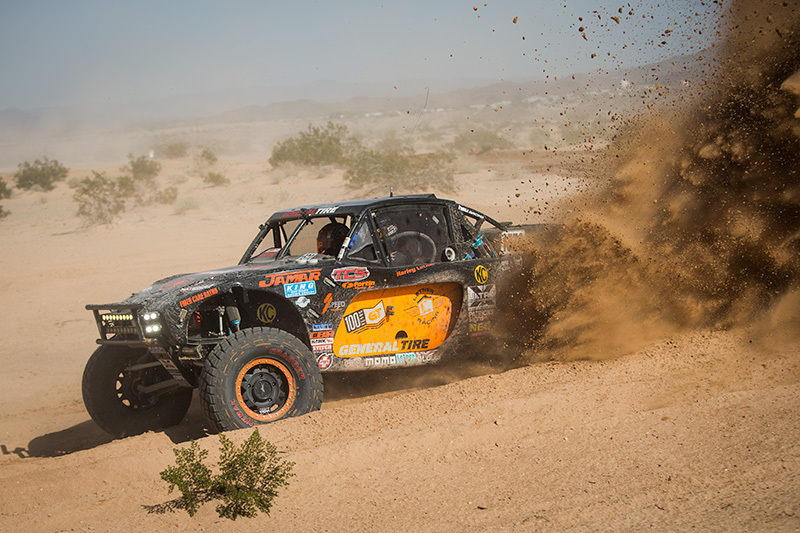 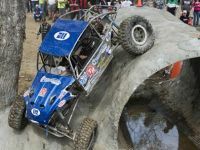 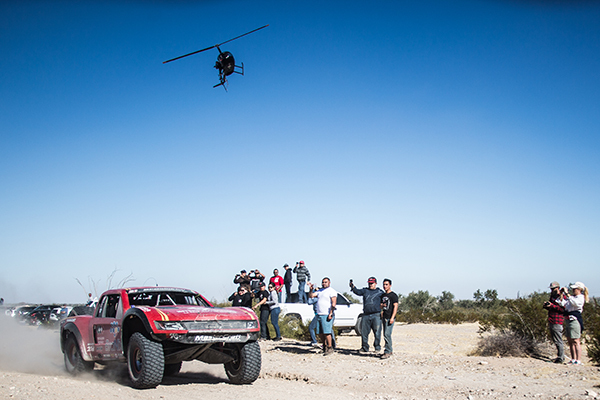 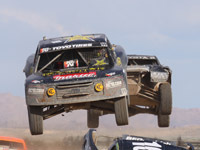 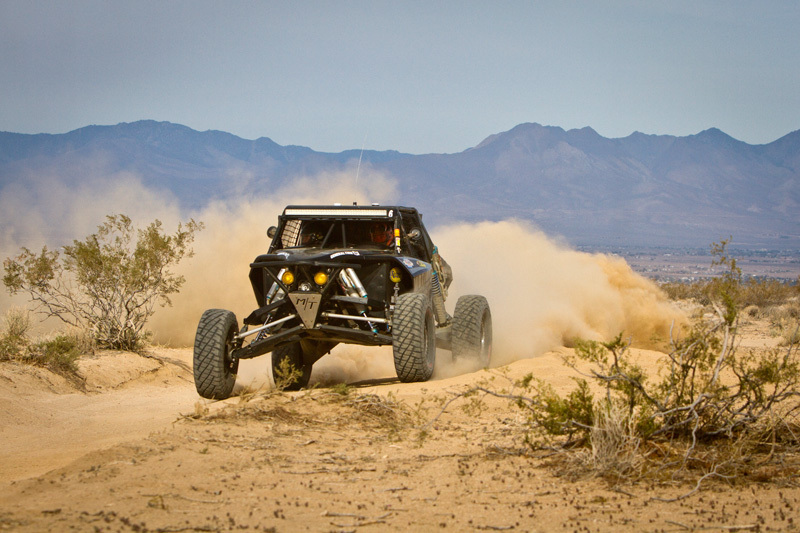 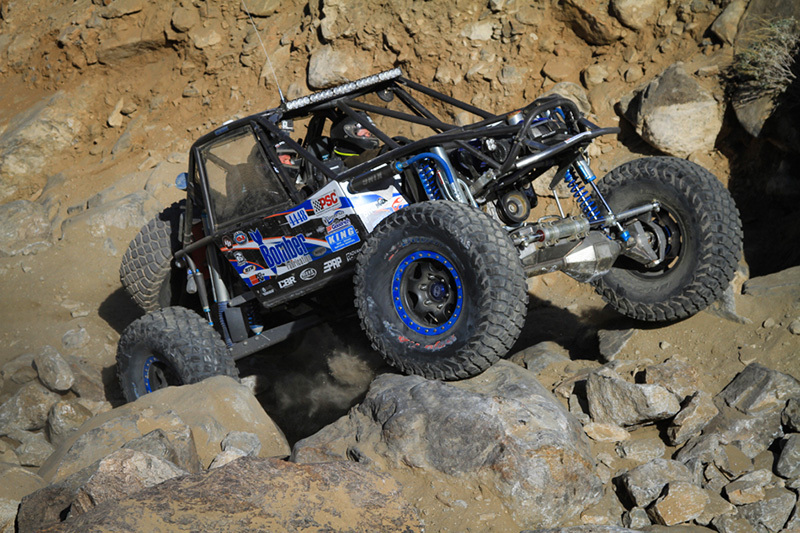 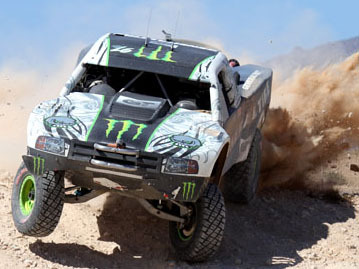 In a masterful display of driving skill, King Shocks racers John Currie and co-driver Gerald Lee won the inaugural Everyman Challenge held Sunday, Feb. 5th, 2012 at the King of the Hammers (KOH) event in Johnson Valley, Ca. 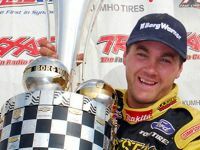 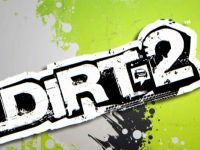 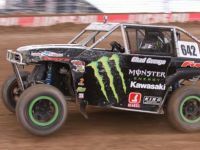 Currie was competing against 18 other “stock” class competitors and also beat all 17 drivers in the much more altered “modified” class. 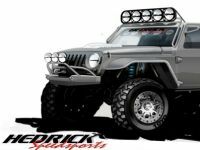 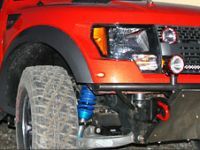 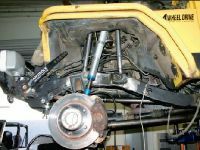 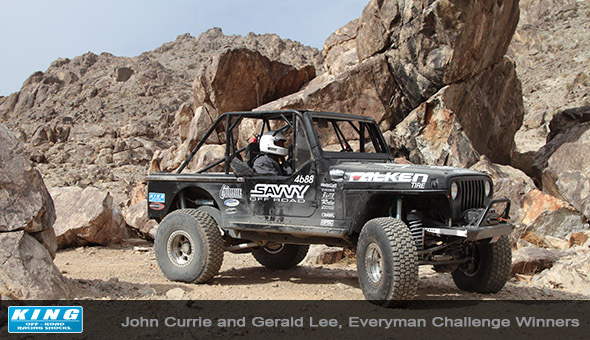 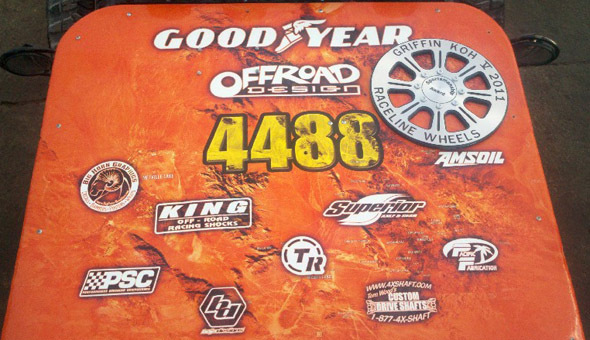 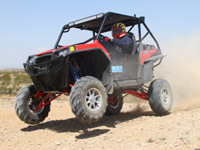 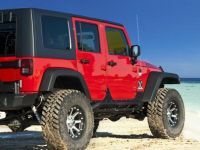 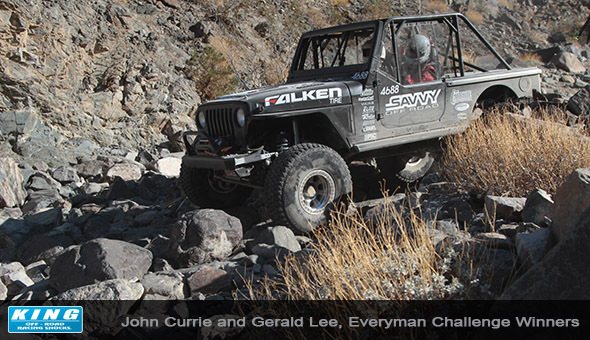 Currie was running factory style coil springs on his Jeep, LJ and a single 2.5” King “Smoothie” shock with a hose remote reservoir on each wheel. 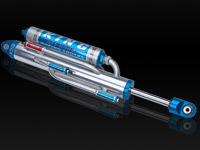 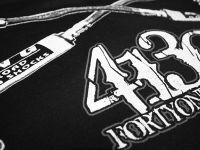 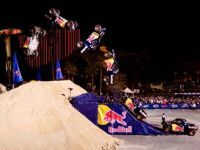 King’s smoothie shock is the most basic shock style in the King product line-up. 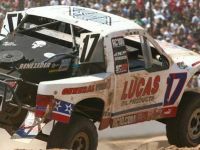 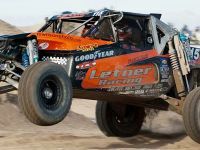 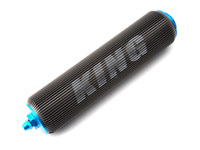 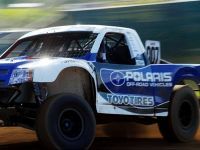 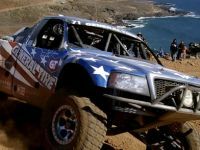 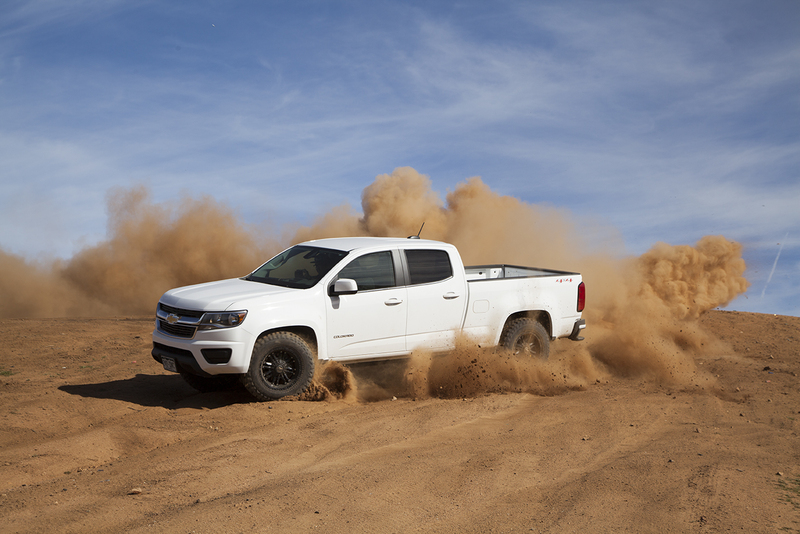 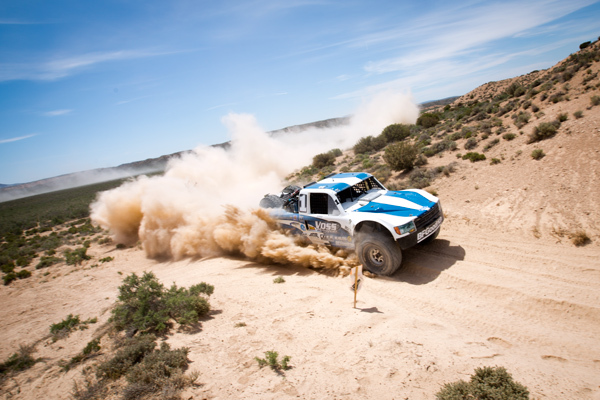 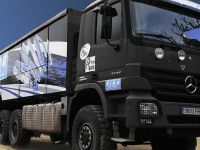 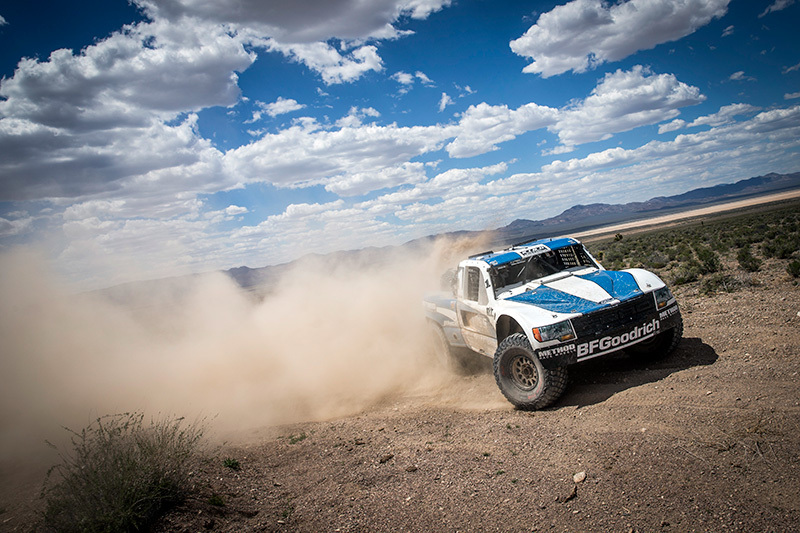 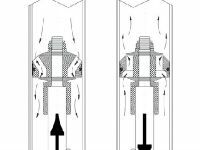 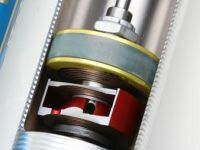 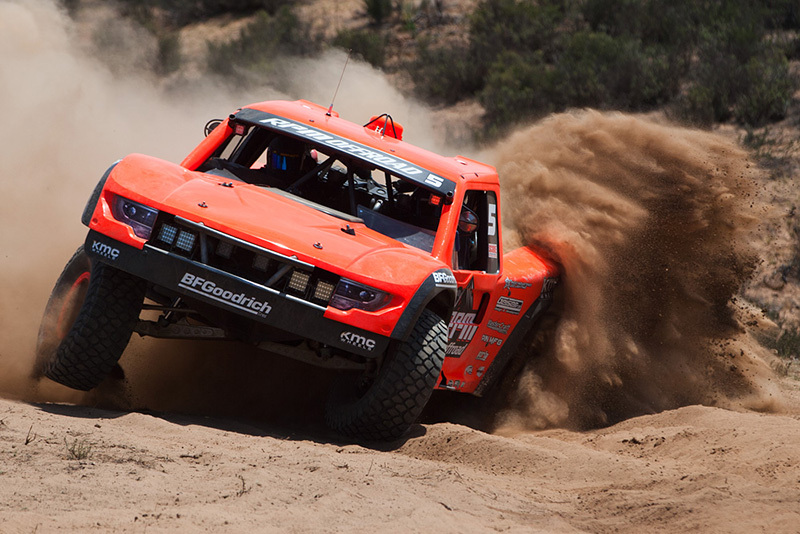 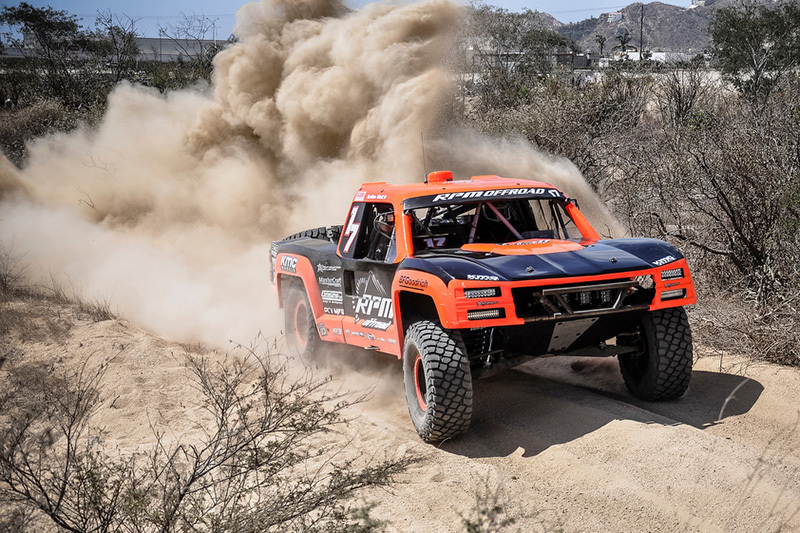 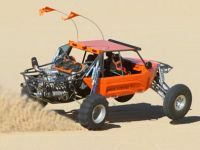 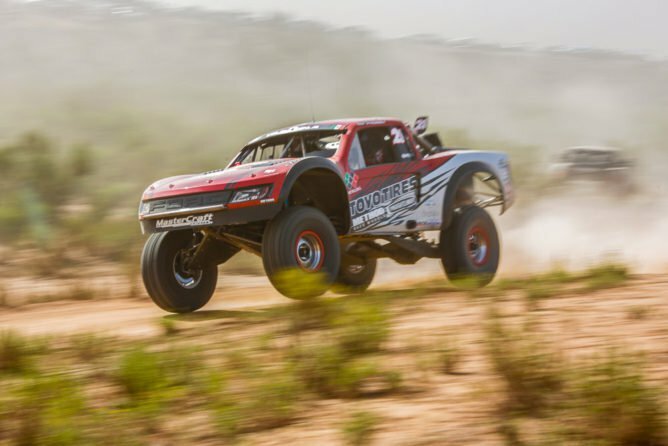 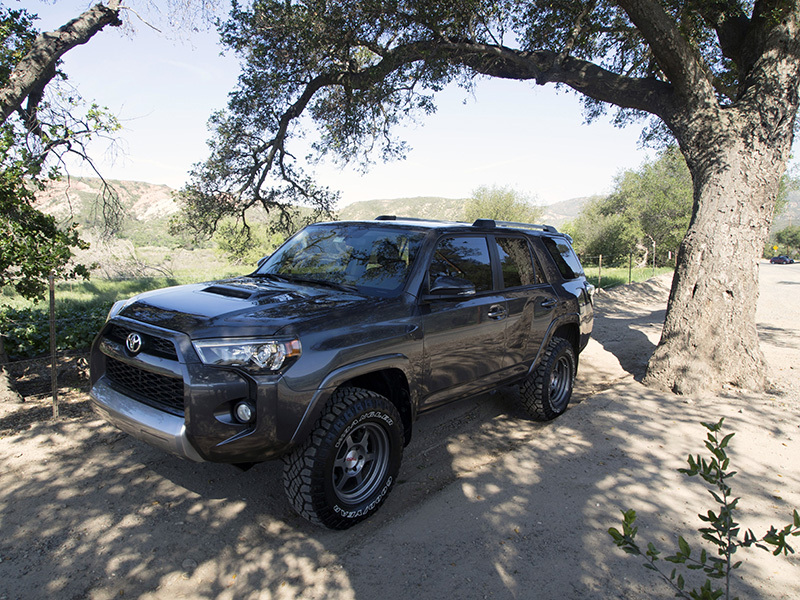 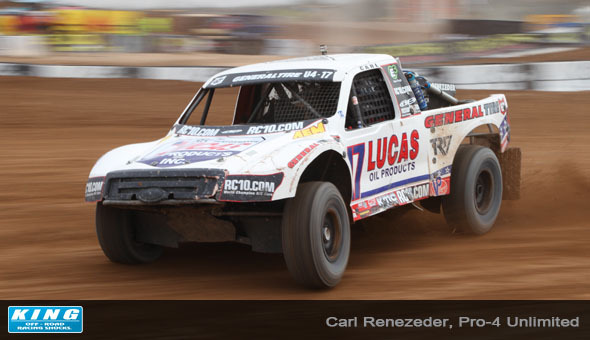 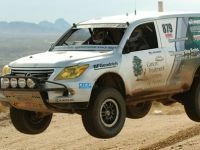 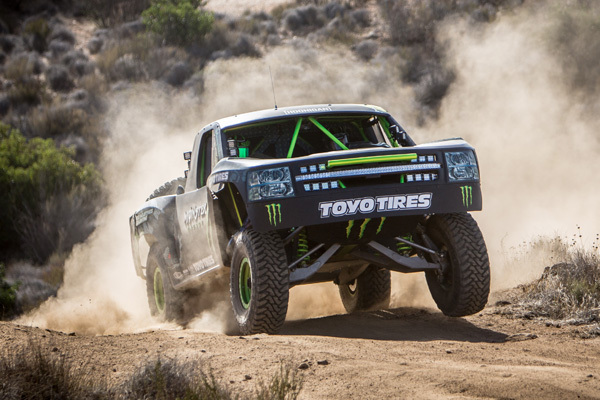 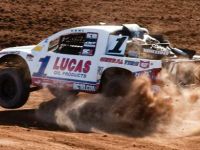 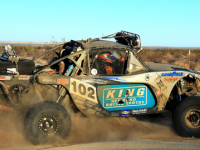 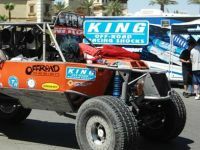 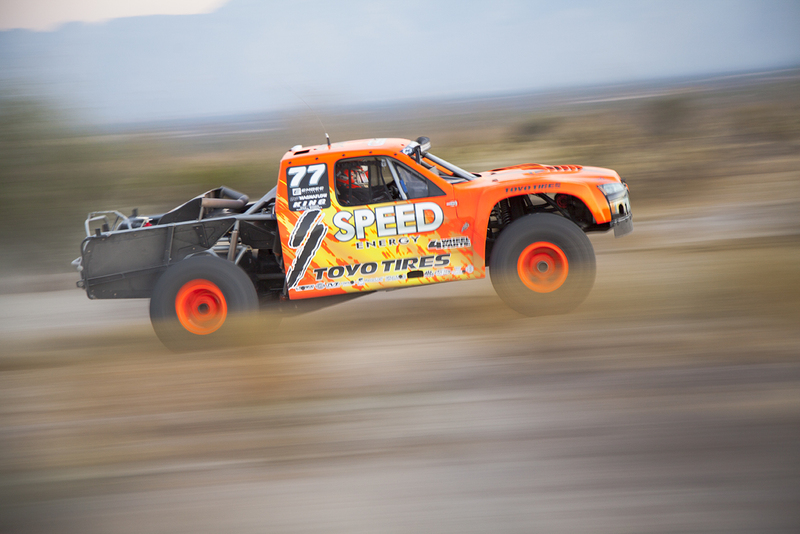 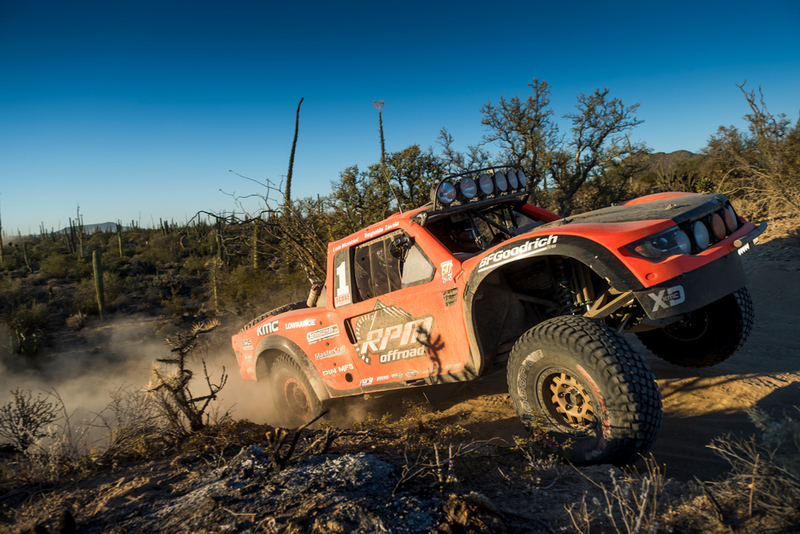 What makes the King “Smoothie” stand out is the tunable internal valving, quality materials and strict precision tolerances that all contribute to the superior damping performance John Currie used to dominate the race. 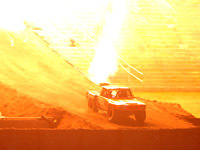 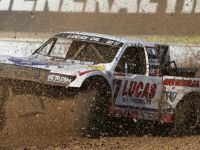 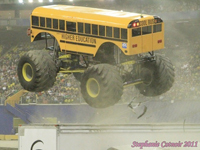 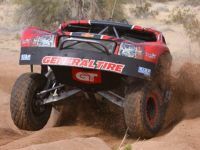 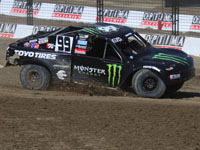 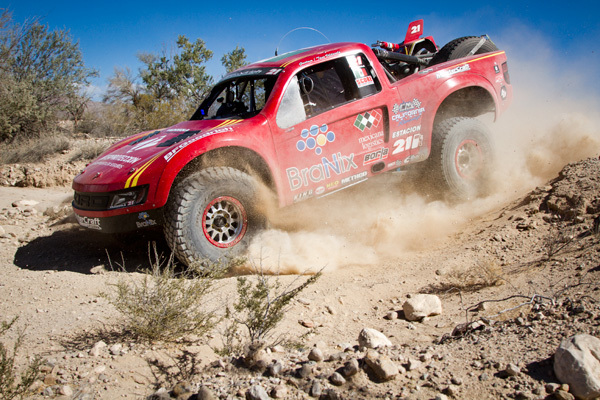 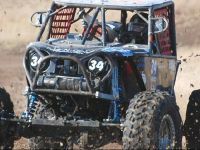 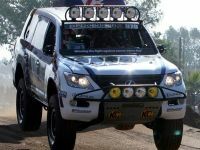 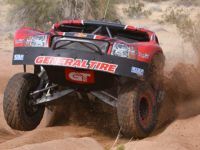 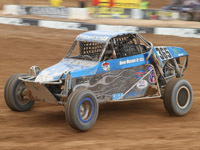 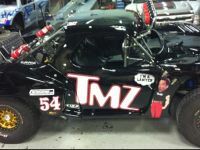 Currie finished a full 15 minutes ahead of the second place finisher who was driving a “modified” class rig.